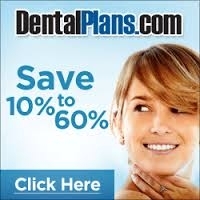 We offer our own discount dental plan for people that don't have insurance. 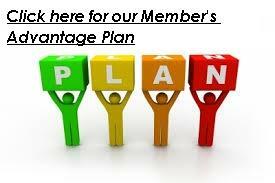 It is our MEMBER'S ADVANTAGE PLAN. 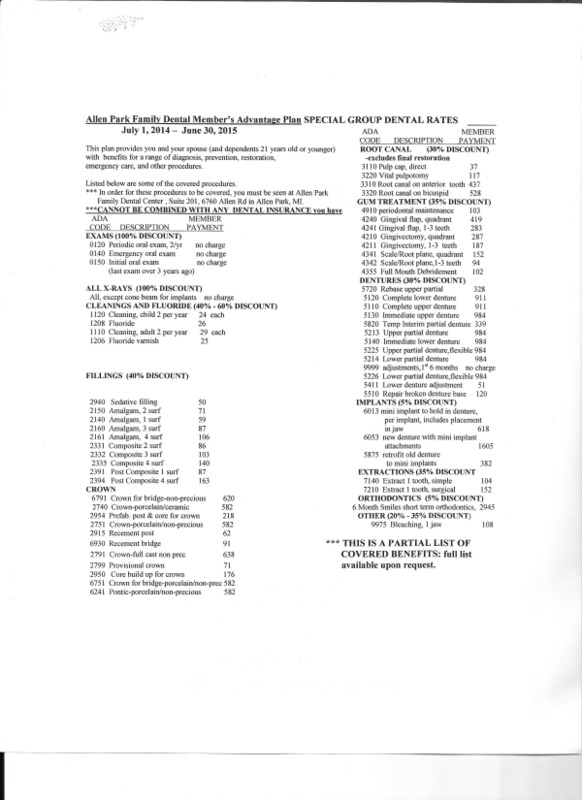 Although not an insurance plan, it provided a wide range of discounted services. The yearly membership fee is $162 for each member (spouse included at no additional charge). Dependents (21 years old or younger) can be covered at an additional $56/dependent. Membership fees are refundable if you request cancellation of your participation within 30 days of membership acceptance and you have no unpaid balance for treatment received. The discounts range from a 100% discount for exams/x-rays, a 65% discount for cleanings, and a 30-40% discount for everything else. Implant treatment receives a 5% discount. Bite guard appliances for TMJ receive a 20% discount. Feel free to tell your friends about this plan. Membership is available to anyone. We also participate in many other discount dental plans that you can purchase on your own. The link below will take you to a site with all the information you'll need to insure you and your family. There are many dental benefit plans available at the site. After clicking the link below, click "Dentist Finder". Then enter 48101 for the zip code and Passera for the last name. You'll see the plans we accept and you'll be able to compare them.